These photos were taken on September 6, 2016 at 9:07 AM. 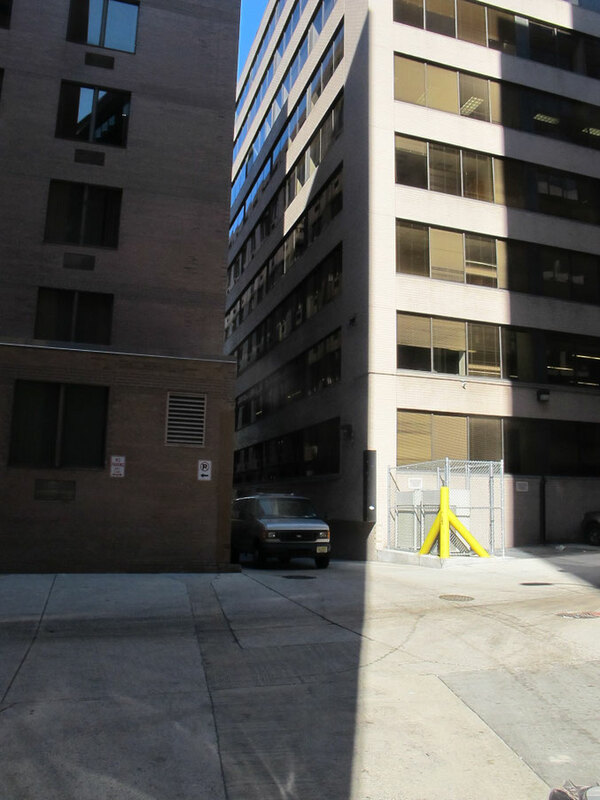 The location was an alley used as a short cut, in my route work, in the City Center section of Washington DC. The "Take It!" Internal prompt, came with amazing clarity and speed. I am constantly looking for lines or circumstances that match up, be they spot on, or very close. I also admire and photograph parallels. Most of the best occur, as this one did, through nature. On this morning, I was running a bit late, thus the sun had come up and lit this alley up with its wonderful, just after sun rise, intensity. Ordinarily when I pass through this mini maze it is early enough to not permit the sun to make its way into this East - West vectored section of alley. Here is one of those situations, where being late can bring about a happy occurrence. The After Take: All of those to whom I showed this set of photos and gave the explanation of what we were looking at, quickly joined me in their comprehension of the lucky randomness of my arrival upon the scene. 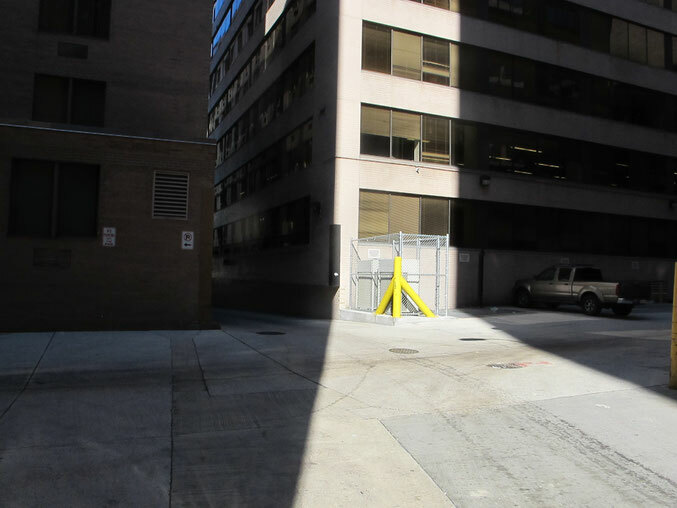 The line up of the sun light being funneled through the portion of alley behind me matched up with the corner of the building that makes the entry to the next section of alley was spellbinding in how it brought emphasis to this edge. An Edge became the star. Here is hoping somewhere as you pass through your day, a similar circumstance presents itself to you and you take a little time to enjoy the moment. It is sharing this type of experience, that is one of the ongoing joys of my days. PS: The photos were taken with my heeding that internal voice that called for me to stop the car and not rush the multiple photograph opportunity. I just look at this thing and think what are the odds of you catching at the perfect moment like this? This thing almost looks like it had some mathematical precision involved. Jim and I turned this one into a fun lesson for our little girl. She is beginning to learn the extreme basics of geometry. Great picture! As someone above said, perfect timing lol.